Wax Guanzon Estrella Jr. a.k.a. 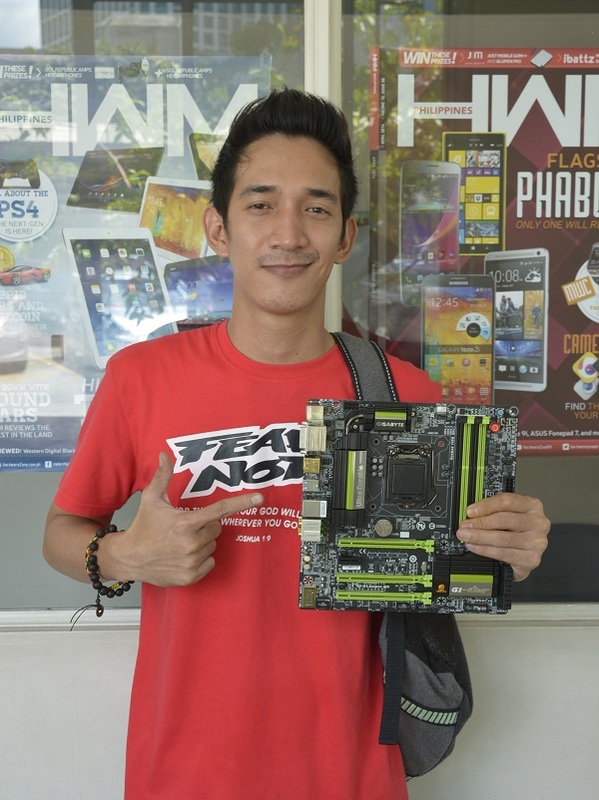 darkside24 just claimed his Gigabyte G1.Sniper M5 motheboard this afternoon. He is the winner of the "Snipe that Sniper with a Selfie" contest. For those who are not yet a member of our Forums, register at http://gohwz.ws/Pqeata and stay tuned for our next promotion!